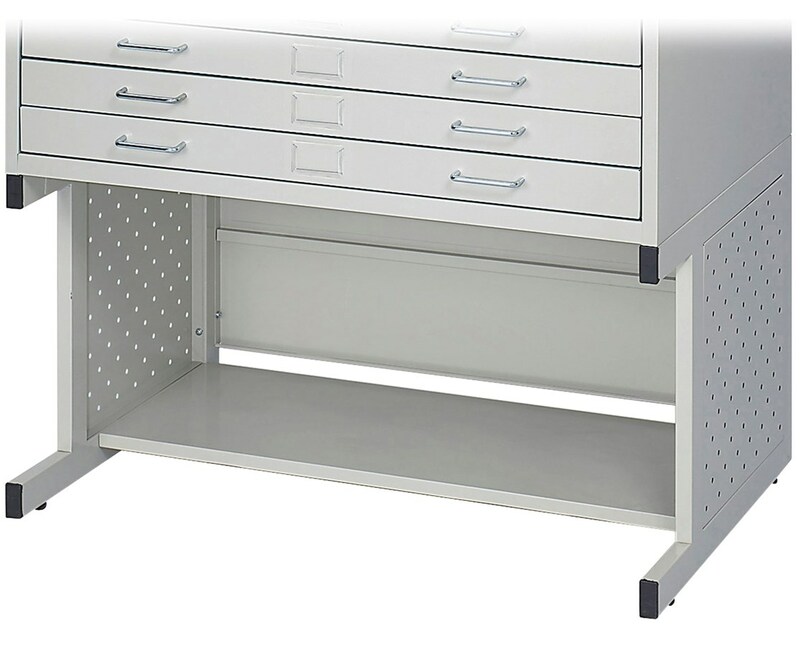 The High Base for Safco Facil Flat File is a convenient base designed for Safco Facil Steel Flat File. It can hold one flat file and raise it 20-1/2 inches off the floor. It also provides additional storage with its enclosed back and sides with open front. The side panels have a perforated design for a stylish look and leveler glides that are useful when placing the unit on uneven surfaces. This base is made of 22-gauge durable steel with a light gray powder coat finish. It is easy to assemble and is safe for indoor use as certified by GREENGUARD. 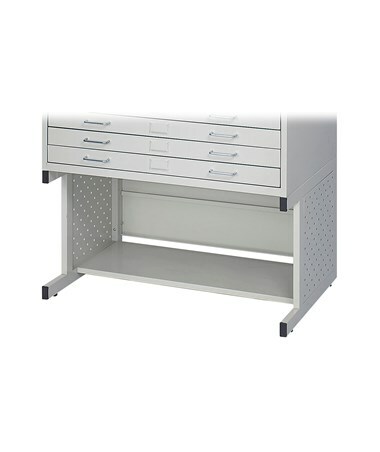 The High Base for Safco Facil Flat File is available in two sizes. Please select your preference from the drop-down menu above.